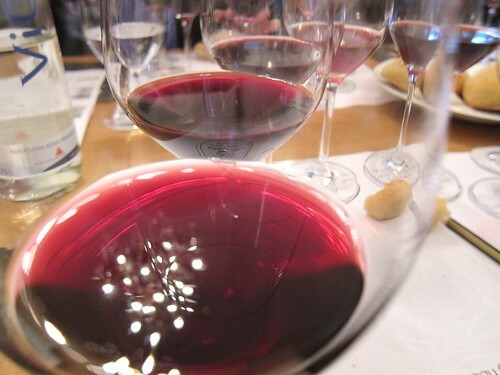 2011 Freisa – the tasting starts with a varietal I have never had before: Freisa. It is a wine made for early drinking, crisp, fresh and full of fruit. In the nose I find cherries, liquorice and some violet. On the palate it appears light and crisp with some present tannins, maybe one more year of cellaring would improve the wine, but then again for accompanying terrines, pâtés and some intensely seasoned sausages, this might be perfect right now. It has a refreshing quality to it. A simple but fragrant wine with short length, it somehow reminds me of Beaujolais wines and the Gamay varietal, in a good way! 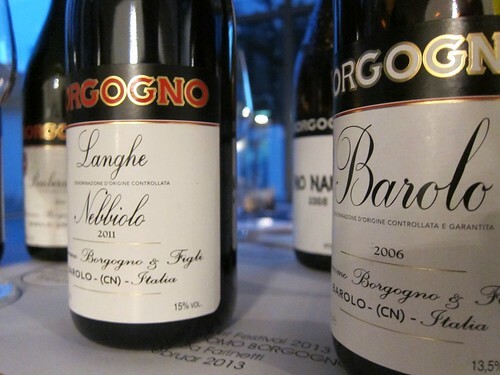 Then there’s the 2008 Nebbiolo which is actually a Barolo but hasn’t received the green light from the institutions, being described as “non-typical” for a Barolo. 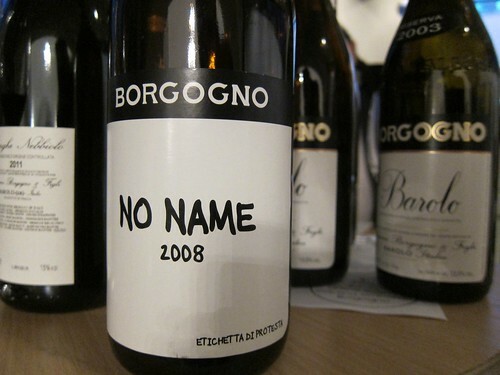 Thus the winery decided to give it a “protest label” and called the wine “No Name”. 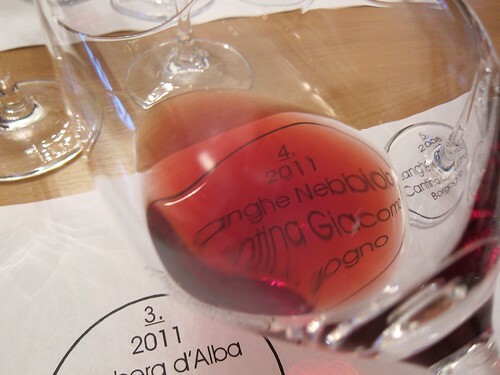 It has a much darker colour than the 2011 Nebbiolo and appears as a much more compact wine, with stronger alcohol, more fruit, a little more oak and tannin. There’s a sweet liquorice touch as well in here. A wine that seems to be in for a few more years of cellaring. Somehow I get that there’s a modern touch in there which might not please the institutions. A fine wine though. 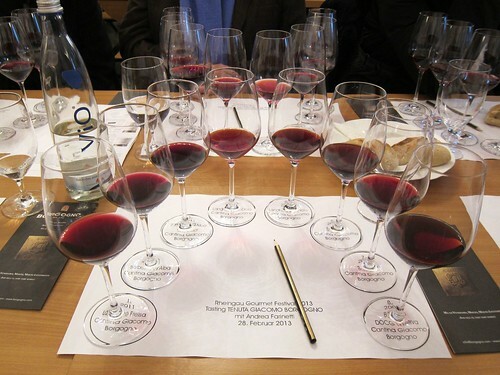 We went on with Barolo wines. 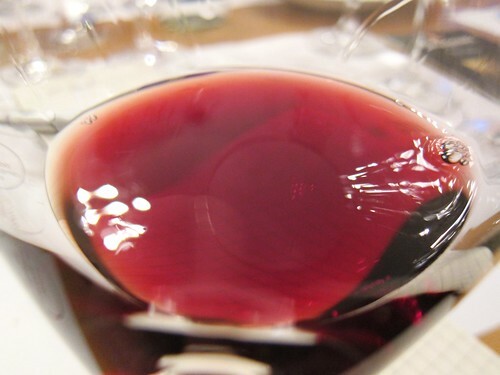 The 2007 appeared to me as a compact muscular wine with lots of very fine tannins, liquorice and a very long finish. A wine that shows a little closed and still has to unfold over a few years. 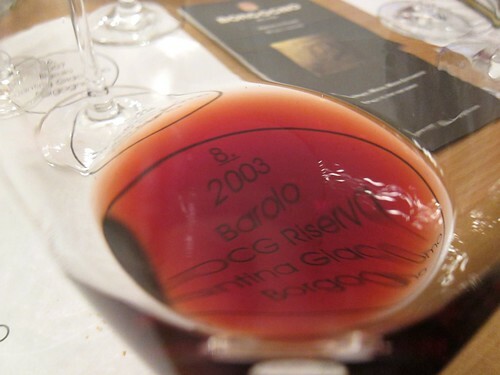 I still sense the feel of a rather modern Barolo. One for the cellar. PS: The wine cellar at the Georg Müller Estate where the tasting was held, includes a small Art collection. I put some pictures together on the facebook page of this blog.